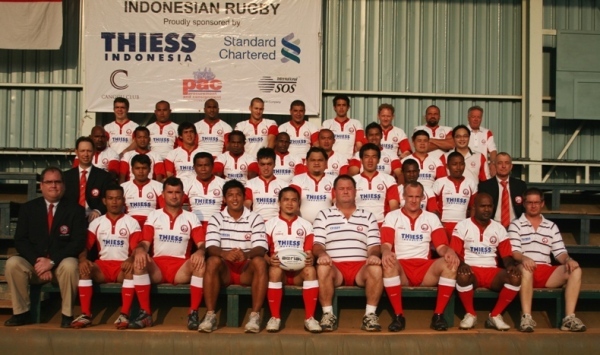 Rhinos adalah sebutan untuk Tim Nasional Rugby Indonesia. Sering disebut dengan Badak Jawa atau Javan rhinoceros / Sunda rhinoceros atau lesser one-horned rhinoceros (Rhinoceros sondaicus). 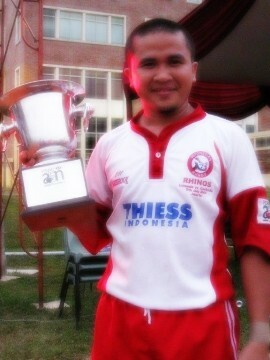 I had the honor to represent Indonesia back in 2006,2007 and 2008. such an amazing experience. 7 caps total, and I was the captain for the 2007 Rhinos. Impressive? not really.. 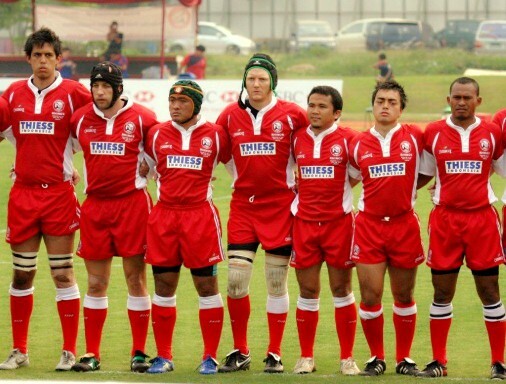 I have to say I was lucky and also the fact that we dont have thousands of rugby players back then..
on 2008 I had an unfortunate injury, I broke my collar bone playing at Bali 10s Rugby Tournament. had to have a plate drilled to my bone at that time. I had to restrain myself from any contact sports and it was horrible.. I felt like a kid whose told not to eat Ice cream! I can smell the ice cream, hold it with my hands, all of my friends are eating it.. but I wasn’t allowed to eat it! Not to be proud of it, but I somehow fail to resist myself from playing in Jakarta sevens 2009 and since my collar bone still have a plate and bolts drilled, I had another broken bone. sad story eh? Fast forward from that ‘tragedy’, I manage to have the plate removed on 2010 and eat Ice cream as much as I want!! And this year, suddenly the national team coach come to me and said that I am considered to get selected as one of the Rhinos. I am thrilled.. happy.. but I am also worried that I might be not in my top form this time. I have been too busy with work and other stuff and somehow I know I am not ready to play in national level. I have promise myself to challenge myself to the limit so that I can still have the chance to play for the national side. Perhaps next year? Semoga tahun depan saya bisa baca kembali tulisan ini dan tersenyum bangga setelah kembali berkontribusi untuk negara..